CEBU CITY – Former PBA player Cesar Catli was among the cadre of players that took part in the first of the five-day tryouts for the Casino Active-Cebu team that will be competing in the second season of the Maharlika Pilipinas Basketball League (MPBL). With only one Cebu team joining the MPBL for now, former players from the Cesafi came in droves for a shot at representing the Queen City of the South in the regional league founded by boxing superstar Manny Pacquiao. However, the most surprising participant was Catli, the 37-year old who was picked by Sta. Lucia in the 2005 PBA Draft and last played for Coca-Cola back in 2010. Still spry and armed with an impeccable shooting touch, Catli gave his much younger opponents a run for their money and then some. 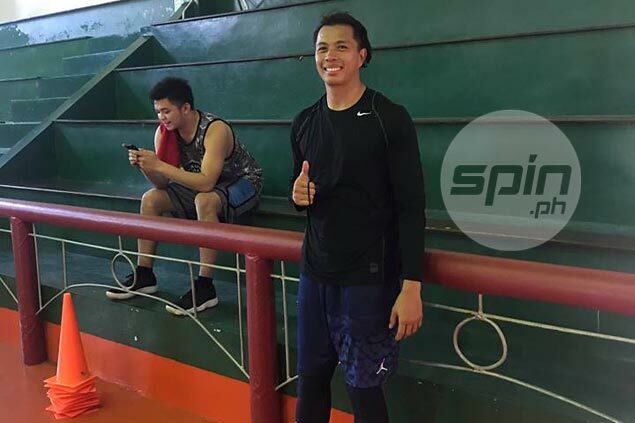 After the tryout, Catli related that he actually just flew in from his hometown of Bukidnon upon hearing of the tryout from a friend based in Cebu. “I’m excited for the opportunity. Actually andyan ako sa area between ‘ayoko na’ and ‘excited ako para sa next chapter,’” said Catli, who played high school ball here in Cebu, at the University of the Visayas, before carving out a nice career at Far Eastern University where he played alongside Arwind Santos. Catli also shared that he was supposed to try out for the Caloocan Supremos right before the inaugural season of the MPBL. And while that didn’t pan out, he said that he got excited at the prospect of playing at that level once again after seeing his contemporaries, such as Gary David and Jemal Vizcarra, flourish in the league. “I saw a lot of my players that more or less, were from my batch, playing in the league which inspired me to get in shape and really get back to playing at that level,” Catli said. Aside from playing regularly, Catli relayed that he ran a lot miles and did fitness training to get in top shape for the tryouts. Although a spot on the Casino Active lineup is not yet guaranteed, Catli remains hopeful for the chance to suit up for the Cebu team.